8 Seater Minibus Hire available for groups, including weddings, stag & hen parties, funerals, concerts, sightseeing tours, golf tours, or for whatever reason you want to visit and travel in Kilkenny and around Ireland. Travel by Taxi or Minibus to Dublin Airport, or your hotel, station or any destination for your vacation or business travel. Call us for a competitive quote and we will help you with all your travel arrangements. 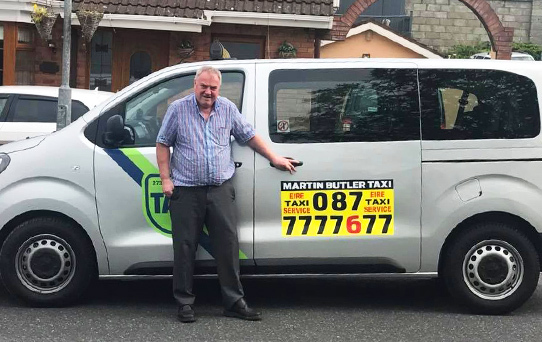 24 Hour Taxi service offered, and you can always rely in Martin Butler Kilkenny Taxis!